Until 2011, Galaxy 4 was one of the completely lost Doctor Who stories, with only a few clips being known in existence. However, Air Lock, Episode Three of Galaxy 4, has been rediscovered, and as a result we now have one less story that has no complete episodes to look at. The discovery of any lost Doctor Who story is always great news, and with the hour-long reconstruction of Galaxy 4 available, we can now get a glimpse of a unique Doctor Who story, one sadly done in by a failed effort to come up with a monster that just now looks comical, right down to its name. Minus the 'creatures', Galaxy 4 is a surprisingly strong and solid story that has more pluses than minuses. 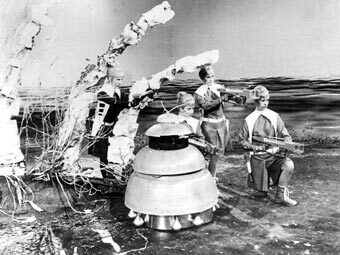 The Doctor (William Hartnell) and his Companions Vicki (Maureen O'Brien) and Steven Taylor (Peter Purves) arrive on a seemingly deserted planet. However, as it stands, it is not deserted. Instead, they first encounter little round robotic beings Vicki nicknames "Chumblies" (due to their clunky movement). Believing them to be hostile, the Doctor and Companions escape the TARDIS, only to find themselves taking forced refuge with the Drahvins, a collection of women warriors headed by Maaga (Stephanie Bidmead). She believes the Chumblies and their masters, the Rills, are hostile. According to her, the Drahvins crashed on the planet at the same time as the Rills, and ever since then the Drahvins have been attacking the Chumblies whenever they approach. Maaga and her minions, robotic females, ignore the Chumblies messages that offer them passage on the Rills spaceship, which they have managed to repair, while the Drahvins' ship has not. They believe that in fourteen dawns time, the planet will be destroyed (hence making escape vital). The Doctor, however, realizes they really have two days before the planet is evaporated. Maaga has come up with the idea of seizing the Rills ship, conveniently killing the Rills off and making their escape that way. Believing the Chumblies and Rills dangerous, Maaga uses Steven as a hostage and forces the Doctor and Vicki go to capture it. However, we discover the Rills (who yes, are rather frightening to humanoids) are actually a peaceful group. They created the Chumblies to help them as the air is poisonous to them, and their efforts to bring the Drahvins with them are sincere. However, the Drahvins are a warrior group, determined to conquer the galaxies. 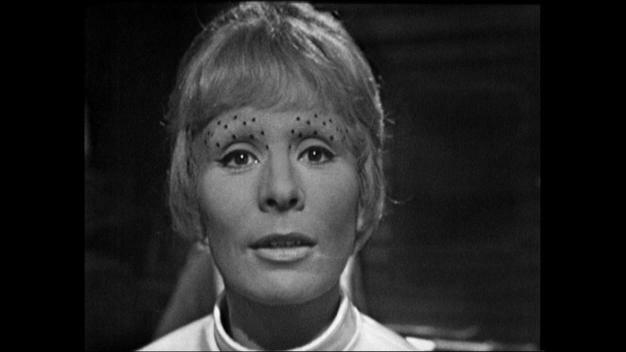 The Doctor and Vicki now join the Rills to help their ship take off before the planet explodes. The Chumblies are not the first, nor would they be the last, 'monster' that might have looked good on paper but ended up coming across as a bit of a joke. For whatever reason the First Doctor's tenure was plagued with weak imitations of the Daleks (like the Chumblies or the Mechanoids), and the Second Doctor's reaching a nadir with the Quarks in The Dominators. It doesn't help matters that starting from Vicki, no one appears to take the Chumblies seriously as a threat (with the exception of the Drahvins). For the record the creatures are never given an actual name, and it is only until The Exploding Planet (Episode Four) that the Rills use the phrase "Chumblies". For the rest of Galaxy 4, they are almost always referred to as 'the creatures'. The Chumblies sadly are the things that push Galaxy 4 down a bit, but despite their comical/cuddly mix the reconstructed episode is actually a good one. First, I should compliment the editing work done on the restoration. Using primarily telesnaps (photos taken directly from the screen when initially broadcast), one can sometimes see how it doesn't quite fit, but the did manage to integrate what was thought of as the only surviving footage (a seven minute clip of Episode One: Four Hundred Dawns) so well I hardly even noticed the transition. Once we got the rediscovered Episode Three, again it flowed smoothly that it was never jarring, and when we returned to telesnaps for Episode Four: The Exploding World, it all fit in rather well. I don't want to give a wrong impression: it wasn't perfect. It was obvious that sometimes the same photos were being used, but given the circumstances on the whole the effect on the viewing of Galaxy 4 made one focus on the story itself rather than on how there's only one episode left. As one watches Galaxy 4 one appreciates certain qualities in William Emms' story. 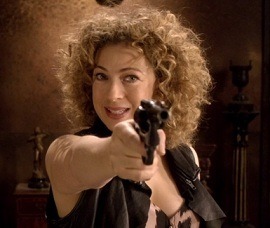 First, it is not often that the Doctor first encounters the villains and begins to take their side. Galaxy 4 thus reverses the idea that what at first appears good and what appears dangerous really is not perhaps the truth. Even in NuWho we have almost always had the Doctor and the Companion come across those in need FIRST, then the villains. Galaxy 4 therefore, is one of the handful (and perhaps one of the few) to reverse that process, making it one with great twists and turns that are above all else, logical. Second, in another Doctor Who rarity (certainly in the Classic Era) we get an on-camera flashback sequence. Most of the time, even now, whenever a character talks about the past on Doctor Who, we just hear him/her describe what happened. In the newly-discovered Episode Three: Airlock, we actually hear the Rills' version of events while watching it at the same time. Most of the time I find this rather distracting, but in Galaxy 4 I found it actually added to the story, primarily because it was so well-filmed. Given that, it is a terrible shame that the other three episodes are not around to appreciate. One imagines that Derek Martinus (with an uncredited Mervyn Pinfield) created some wonderful visuals. They also brought great performances out of the guest stars. Galaxy 4 is a sparely populated story (you have four Drahvins and hear the voice of one Rill), but the main weight is carried by Bidmead and Robert Cartland as the voice of the Rills. Bidmead at first comes across as a strong and firm military mind but one who has cause to be hostile to the Rills and Chumblies, but by the end we see her as the villain, and a credit to her performance that she makes the transitional natural. Cartland's impressive voice carries the rather frightening look of the Rills (which given their look would be nearly impossible to move about without looking strange at best, idiotic at worst). One thing that is highly impressive is that the core group has great chemistry with each other. I was very much taken by this exchange between Maaga and the Doctor. When Maaga asks for them to help the Drahvins kill the Chumblies and Rills, the Doctor flat-out refuses. "In the first place, Madam, I never kill anything. Neither do my friends," he angry comments. What a difference nearly fifty years makes...from a Doctor who says he never kills (and also one who in a future story, Inferno, states he isn't in the habit of telling lies), to a Companion who not only kills with glee but one whom he is supposed to be "passionately in love" with and a Doctor who has Rule Number One: The Doctor Lies. Given how wildly Doctor Who has spun out of control, Galaxy 4 is a reminder, even in its incomplete state, of when the series took things seriously and has as its lead a man of intelligence and peace, not a nitwit who gave himself over to a psychopath. I've faced down pepper pots. Think I'll be afraid of a trash can?